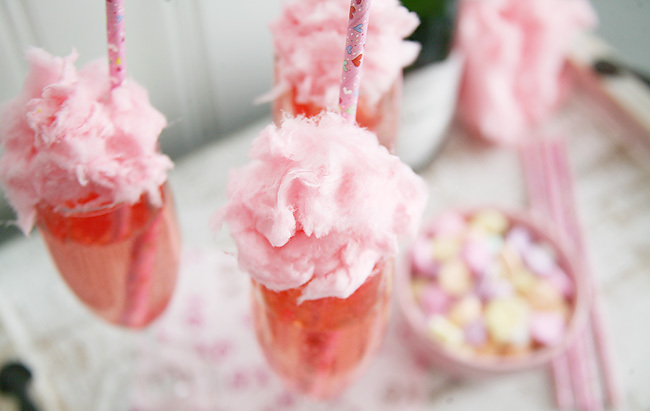 Cotton Candy in a cocktail...I've been tossing it around in my head in awhile. 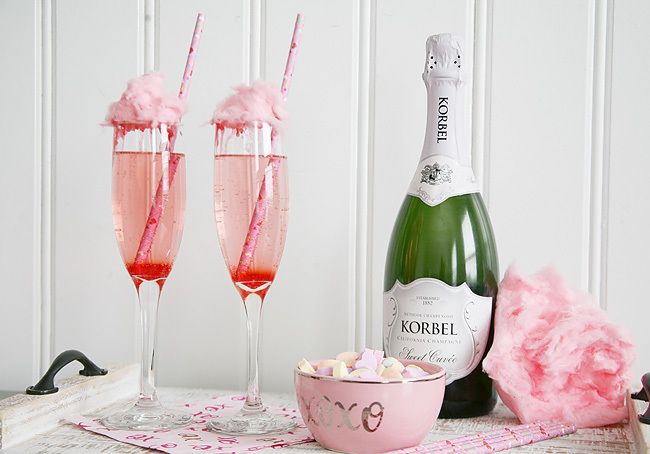 We have a fun little girls night in a few weeks and I thought something pink and girly would be perfect - especially with Valentine's Day just around the corner. Thus, this yummy little libation was created. 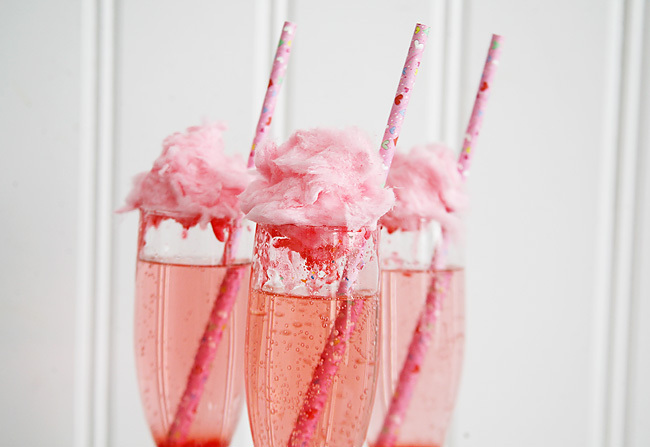 Behold the Cotton Candy Champagne Cocktail. 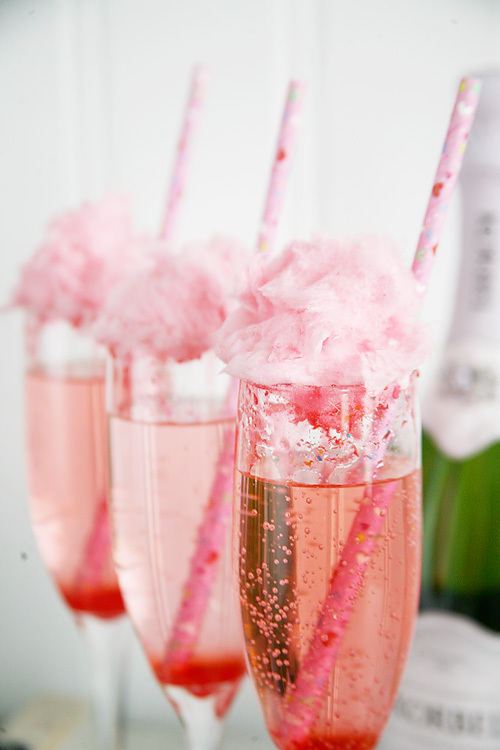 Because who doesn't like champagne? Or sugar?! 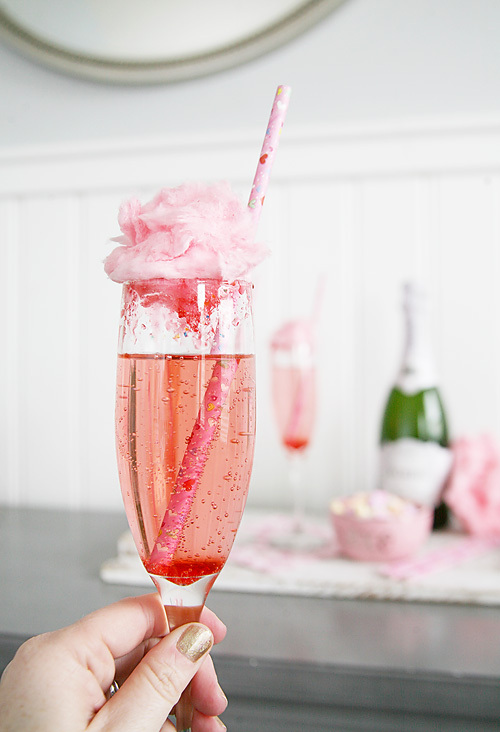 I'm dishing on all the yummy bubbly details of the Cotton Candy Champagne cocktail over on Savvy Sassy Moms. 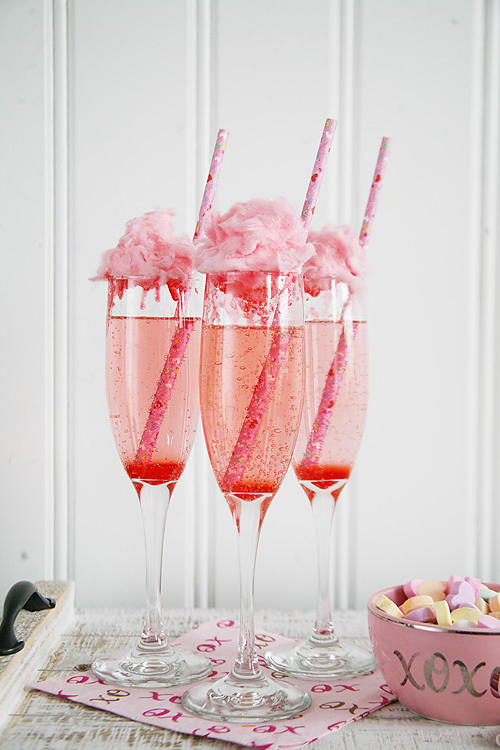 Make the hop, check it out, and mix up a batch for your Galentine's this February! I had a hard time finding cotton candy so ordered mine Amazon, but also found that you can make your own too! If you want to make a non-alcohol version of the drink just use club soda in lieu of champagne. Just know that you'll want to bring the leftovers back home with you on this one.